waivers of inadmissibility and deportability. Department of Homeland Security announced its new policy on deportation of aliens who do not have criminal convictions and do not present danger to the national security of the US. 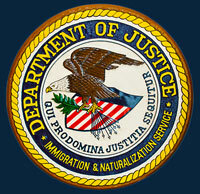 From now on, on a case by case basis, the Immigration authorities will have discretion to suspend deportation of persons who are now in removal proceedings including cases with minors, the elderly, pregnant and nursing women, victims of serious crimes, veterans and members of the armed services and individuals with serious disabilities or health problems. Importantly, the persons who are eligible for new policy benefits, will be able to obtain employment authorization and legally work in the US. You can review the applicable memorandum from Immigration and Customs Enforcement (ICE) Director John Morton here. We hope that this new policy will help thousands of immigrants with low priority deportation cases who otherwise would have been ordered deported. Please do not hesitate to contact our office for more information! CALL 917-885-2261. Current Immigration Laws have harsh consequences for criminal conduct of non citizens. Common offenses like shoplifting or using someone else’s identification can turn to be a bar for a non citizen on his or her way to a green card, citizenship, or they can even lead to a removal from the country. The law punishes most seriously those who have committed crimes involving a controlled substance. A noncitizen convicted of an offense relating to a controlled substance is deportable and subject to a removal from the United States. 8 U.S.C. § 1227(a)(2)(B), INA § 237(a)(2)(B). Under 8 U.S.C. § 1227(a)(2)(B)(i), INA § 237(a)(2)(B)(i), a conviction for a conspiracy or an attempt to possess, distribute, or manufacture a controlled substance is a deportable offense. It means that even if a person has a “green card” or a permanent resident status, he or she can be ordered to remove from the United States after such a conviction. There is only one exception to this rule: a conviction for a single offense for simple possession of 30 grams or less of marijuana is not a deportable offense. 8 U.S.C. § 1227(a)(2)(B)(i), INA § 237(a)(2)(B)(i). Though a controlled substance conviction certainly does not make one’s life easier, under limited circumstances, an Immigration lawyer can try to win the case for his or her client. First, such a loophole can be present if the record of conviction for an offense involving a controlled substance does not identify the drug. “Any record of conviction that does not identify the drug cannot support an order of deportability.” Matter of Paulus, 11 I&N Dec. 274 (BIA 1965). Second, a person who is a permanent resident, may be eligible for a cancellation of removal. As long as the crime committed does not qualify as an aggravated felony under Immigration laws, and a person has been a lawful permanent resident for 5 years at the time the application is filed, and has continuous residence in the United States for at least 7 years after being admitted in any status and before the stop-time rule is triggered. INA 240(A)(a). Accrual of the necessary 7 years of residence stops when a Notice to Appear (NTA) is served on the individual, or when the individual commits a crime that triggers the stop-time rule. Importantly, accrual of the 5 years of permanent resident status is not subject to the stop-time rule. In order to trigger the stop-time rule, the offense must be referred to in section 212(a)(2)of the INA. The latter section most commonly applies to any offense relating to a controlled substance. Most importantly, in this situation there is no need in establishing any kind of hardship to a relative or applicant, as it is required for non-permanent residents. These are the two most common situations that can save one in Immigration proceeding resulted from a conviction related to a controlled substance.